A cover version of Arthur Alexander's 1962 soul single, Anna (Go To Him) was recorded by The Beatles during the 11 February 1963 session that yielded the majority of songs on the Please Please Me album. The song had been a part of their live set since its release in 1962, and was a particular favourite of John Lennon, who sang lead. The Beatles recorded the song in three takes, the last of which was chosen for the album. Floyd Cramer's piano lick on Alexander's original was played on guitar by George Harrison. Lennon's passion-fuelled vocal reached a peak during the middle sixteen ("All of my life I've been searching for a girl, to love me like I love her..."); singing slightly above his normal range, it added an emotional depth to the song. The Beatles recorded the song again on 17 June for the BBC radio show Pop Go The Beatles, broadcast on 25 June. They recorded it again on 1 August; the show was first heard on 25 August. I’m curious if John had a cold when he sang this? It kind of sounds like it. I looked this up today because listening to the song it just didn’t sound like Lennon. That explains it. This is an underrated vocal performance from John, that while it isn’t a Twist & Shout level power performance, he did do really good at raising his levels throughout the song. It’s the early building blocks of what he did later on stuff like “This Boy”. One of my absolute favourite Lennon vocals; and yes, I’ve heard Arthur Alexander’s (pretty good) original. I just love John’s hampered-by-sickness voice throughout the entire album, a uniquely (if unintentionally) raw tone that’s unique in the discography. Love this tune – as done by the fabs – an absolute fav. Absolutely Fantastic. If They would have released the song as a single, it would have gone to #1.
actually in a way it was. there was an old EP 45 that had this song on it. always loved George’s guitar in this song. Actually, Vee-Jay pressed up a promo-only single of this song, which is an extremely rare record. The boys (John especially) must’ve really loved Arthur, covering at least 4 of his songs, either on-stage or in the studio. I’ve always found Arthur’s records really interesting, an R&B artist cutting records with Nashville session musicians, quite unique for the time. Anybody remember Al Bundy trying to track this song down in an episode of “Married With Children”? By the way, Arthur’s version of “Funny How Time Slips Away” is fantastic! Elvis Costello fans will certainly recognize John’s “Oh Oh Oh Oh Oh Oh” in Elvis’s “Blue Chair” from the Blood and Chocolate album. Some people over at the “Chains” page think that this is the worst song on the album…I disagree completely! This is an amazing vocal by John, IMO. Very catchy and sweet. Its a fab version, i had to search who sang it, it didnt sound like John, excellent. From the Twist and Shout album released in Canada, it opened side one. Always liked it from the get-go. John’s voice was so full early on. One of their best and one of my favourites. I remember them like yesterday on Ed Sullivan. An Ontario boy in Northern Ontario and we heard these guys in 1964 – unbelievable. John proves how dynamic his voice is in this song.. Even though he is extremely sick in this recording, he is able to control and carry the emotion throughout the song with his voice. A really groovy song through and through. Love the composition and especially the lead guitar. I praise Arthur Alexander for writing such a magnificent song. 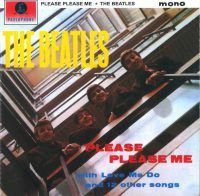 John recorded the entire ‘Please Please Me’ album on benilyn, Thats what got them thinking. It’s worth noticing that George wrongly sings the minor third in the second half of each chorus (‘but every girl I ever had…’), and then hesitantly glides up to the major when he realises his mistake. Because of it, it’s often wrongly assumed that the chord is supposed to be minor at that point, but the chord played on the guitar at that point is clearly major. I think the fact the John was ailing when he recorded the vocals for this song actually enhanced his performance. The anguish in his voice during the bridge when he cries “what am I supposed to do” is amplified by the hoarseness; he is heart sick at the prospect of losing “the girl”. I think the date given above for US release (10 January ’64) should be 22 July ’63 like it is for the other songs on Introducing. Correcting my previous comment: NO — the US release date given for Anna is correct at 10 January 1964. The release date for the other 10 non-single songs on Introducing should be 10 January ’64 and not 22 July 1963.
one of John’s best vocals ever!